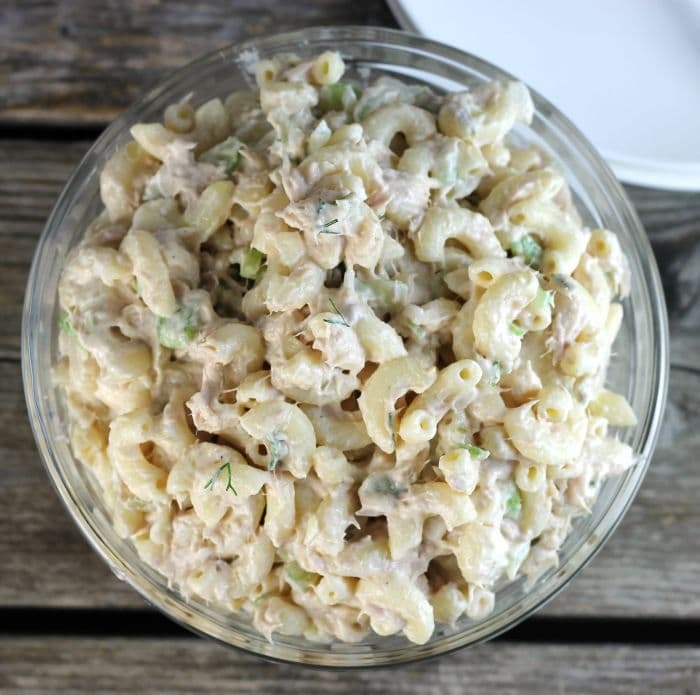 Easy tuna macaroni salad is a snap to make with only a few ingredients. Cold macaroni salads are always a must to serve during the hot days of summer, but I love eating them in the winter too. 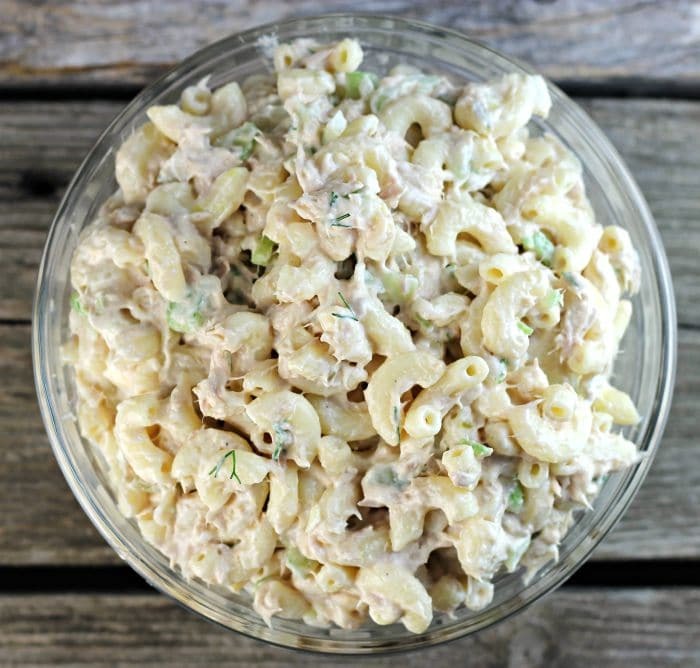 My sister makes the best macaroni salad she brings it all of our family gatherings. Everyone always rants and raves how delicious it is. I love it I could eat the whole bowl myself, that is how good it is. At one of our last family gatherings, I asked her what her secret was for making her salad. She told me the biggest thing she did was to make it the day before she was going to serve it. This way the flavors had time to come together. Simple right? Also, she doesn’t use mayonnaise; she uses salad dressing (such as Miracle Whip) it gives the salad a tangier flavor. Now to move on to other things. How was your weekend? Our weekend was a whirl wind. In my last post, I had mentioned that we had my father-in-law visiting. Well, he is on to the next part of his trip. Mike and I took him to Chicago to visit Mike’s sister for the next weeks. I really hated to see him go. Our time with him flew by way too quickly. It was so much fun, cards, games, and laughter. The house will be way too quiet without him. I know that Mike’s sister was really anticipating her time with her dad, so I am sure they will have fun as we did. I can’t wait until next year when he will come for another 2 weeks. Cook the macaroni according to the directions on the box. Once the macaroni is cooked run under cold water and drain. While the pasta is cooking drain the tuna and chop the dill and the vegetables. Combine the all of the ingredients and mix well. Season with salt and pepper to taste. Chill until the salad is cold, but for best results make it the day before you will serve it. Hi Dawn, sounds like a wonderful treasured time with your father-in-law. 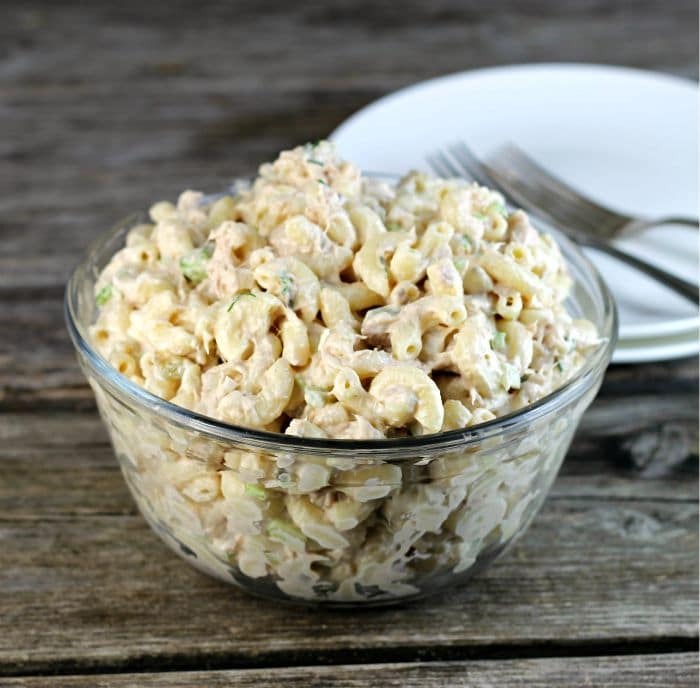 Love this tuna macaroni salad, perfect for this hot summer days. This looks like a crowd pleaser, Dawn. I would love some for my lunch. I totally agree with you here, Dawn! I love a good mac salad, and it’s a requirement to make at least once (if not more) each summer. It really is the perfect side dish. Thanks so much for sharing this one! Oh, sounds like a great visit with your FIL! I used to love it when our parents visited, and always hated to see them leave. Your macaroni salad sounds delicious, and I know it is, because that’s exactly the way I make it, which I learned from my MIL many years ago! 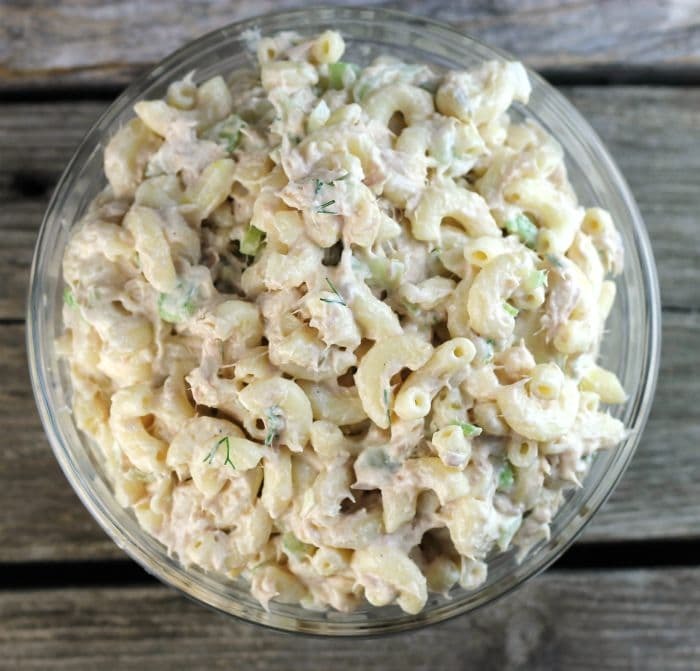 Thanks for sharing this simple macaroni tuna salad…this is sure great for the hot days…and you are right it can be serve as a main dish with a side of green. Love this dish! It’s summer to me. And you gotta add that pickle relish — makes a big difference. This looks great — thanks. I think I haven’t had tuna noodle salad since Iwas a kid! I think I’m overdue!